These are two quick and very useful tips that I’ve learnt over the years cooking and baking and that today I want to share with you. Buy 2 wooden spoons. You wouldn’t like a slight taste of garlic in your sweet rice pudding, right? 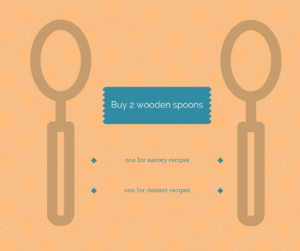 So, buy 2 wooden spoons and mark them, one for savory dishes and another for sweet recipes. How to stop chop onions without tears: I tried a lot of tips during my life but no one of them worked until I went to the most prestigious cooking school in Argentina and learned that the only thing that actually works: Use a very sharp knife. So, stop wasting water, biting your tongue, using vinegar or any other crazy idea the Internet can give you. 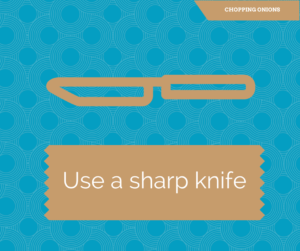 Just sharp your knife!